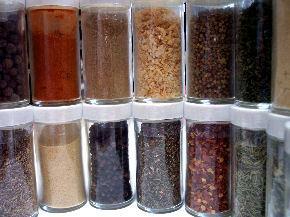 Dry herbs using a dehydrator or make raw food snacks. If you're like many people these days, money is tight, so learning how to build your own food dehydrator rather than buying one may be more economical. There are two options for building your own food dehydrator: a solar dehydrator or an electrical dehydrator. Most can be built in a day, and best of all, they use recycled materials so you're not only saving money, you're living green, too. Dehydrated fruits and vegetables are tasty, nutritious, and conform to vegetarian, vegan and raw and living food standards, as long as the drying temperature is kept below 118 degrees Fahrenheit. When you build your own food dehydrator, you can make fruit leathers, dried fruit, dried herbs, dried vegetables, and much more. There are many different ways to build a food dehydrator. You can build either a solar powered food dehydrator and food dehydrator run by electricity. When considering designs for do-it-yourself food dehydrators, the following are recommended to ensure even, consistent drying. Check over plans, schematics and instructions to make sure they include these points. Removable trays, so that they can be washed and dried easily after use. For solar dehydrators, make sure they are pest-proof, sturdy, and able to withstand the elements since they will be set up outside. If you're ready to begin, here are the basics to create your own food dehydrator. Spread old window screens out and raise them off the table or ground a few inches by placing them on bricks. Spread herbs onto the screen and leave it in a sunny, hot place for a day. Take the herbs inside at night to keep the morning dew from moistening them again. Herbs should dry in a day or two, depending on humidity and heat conditions. To speed along solar dehydrating, you can also build a solar dehydrator. Mother Earth news provides step-by-step instructions to build a solar food dehydrator. Green Options also offers detailed instructions to make a solar food dehydrator. Alpha Rubicon provides photos with detailed instructions to make a food dehydrator that runs off of electricity. The basic idea is simple; create a box lined with foil to reflect heat, and use an old lamp and light bulb to make the heat. Line the box with foil and use the long strips of 2" wide wood to make parallel tracks inside the box. Slide the cookie sheets onto the strips of wood. These will be your dehydrating trays. If you have an old ceiling light fixture with a cord, cut a hole in the box and pop the light and the rim of the fixture through. You can also turn the lamp upside down and suspend it so that the bulb is inside the box. Place prepared fruit, herbs or vegetables onto the tray, slide them into the box, turn on the bulb, and they should be dehydrated in 10-20 hours. Don't leave your homemade dehydrator unattended. Since it has no safeguards built into it, there is no automatic electrical shut off or safeguards against overheating. Build and use at your own risk, and don't leave the house while you're using your homemade electrical dehydrator. Clements offers their own version of a homemade food dehydrator. This one could also be made from recycled materials using plywood scraps and shelves from an old refrigerator, items easily found in people's trash or perhaps even in your own garage or shed. Backpacking offers instructions to make a food dehydrator that runs by electricity, with the idea of making your own economical and nutritious hiking snacks. Backwoods Home offers instructions to make a large capacity food dehydrator. If you're a gardener and often struggle with canning or freezing large amounts of produce, this is a great food dehydrator design because you can dehydrate a lot of food at one time. It's also great for people who want to be self sufficient. There are many ways to build a food dehydrator, and most use recycled materials. In one weekend you can have your very own dehydrator and save lots of money. Build one and try some simple recipes, or make your own camping snacks.